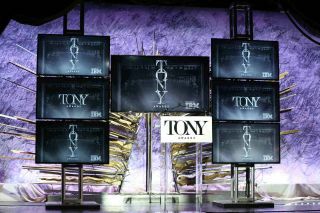 The 2016 Tony Awards utilized a Firehouse Productions JBL by HARMAN VT4886 system to provide the highest quality live sound. The 70th annual Tony Awards was broadcasted live from the historic Beacon Theatre in New York City, and Firehouse Productions selected the VT4886 for its ability to deliver sound quality with a compact footprint. The 2016 Tony Awards ceremony featured energetic performances from the hottest shows on Broadway, including “Hamilton,” “School of Rock,” “She Loves Me” and more. With up to 30 lavalier mics on the stage simultaneously, it was important to manage gain before feedback and make sure the live sound stayed out of the on-air mix. It was equally important to deliver dialogue intelligibility. Finally, it was important for the arrays to take up minimal space and be hidden from the camera sight lines during the broadcast. The subcompact JBL VT4886 features a 3-way system that is unique to the subcompact category, offering sound quality and the highest SPL output in its class. The VT4886 also features a low-frequency diffraction absorber that eliminates cavity resonance and cabinet edge diffraction effects, which provided Firehouse with extra control over feedback.